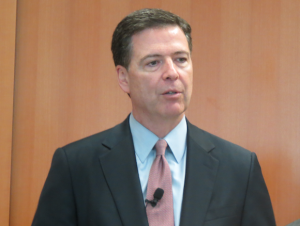 On the eve of the 13th anniversary of the Sept. 11, 2011, terrorist attacks, FBI Director James Comey pledged to continue fighting terrorism as the bureau’s top priority, the Arizona Republic reports. 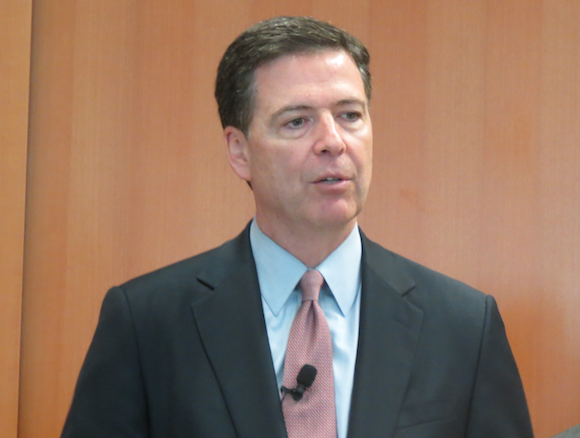 The visit was part of Comey’s pledge to stop by all 56 field offices. Comey said the threat of terrorism remains high. Terrorism organizations to be concerned about are in North Africa, the Horn of Africa, the Arabian Gulf and the Mediterranean. “It’s especially worrisome in Syria, where you have thousands and thousands of foreign terrorists fighting with groups like ISIL,” Comey said, using an acronym for the Islamic State. Posted: 9/11/14 at 9:06 AM under News Story.